Public Security Minister threatens to ban Amnesty International following its report calling for boycott of Jewish heritage sites. Public Security Minister Gilad Erdan on Wednesday threatened to ban Amnesty International from Israel after the group published a report calling on popular tourism websites to boycott Jewish heritage sites. 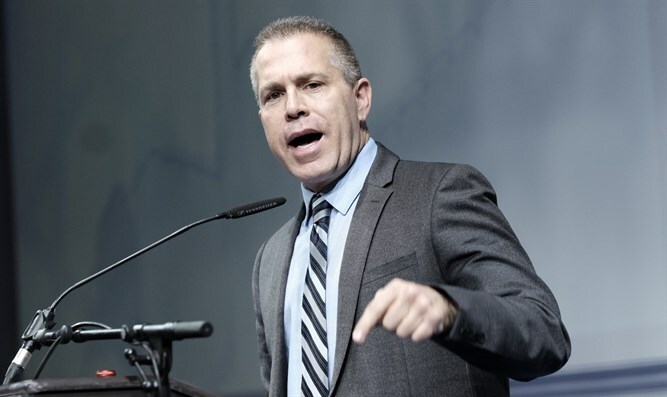 "Amnesty International, that hypocritical organization that speaks in the name of human rights, is acting to promote a boycott of Israelis as part of a campaign of anti-Semitic delegitimization," said Erdan. "I have instructed the ministry of strategic affairs to examine the possibility of preventing the entry of members of Amnesty to Israel. A few weeks ago, I went to the finance ministry to ask it to cancel the tax benefits" granted to the organization, he added. In its report, Amnesty International called on sites such as Airbnb, Booking.com, Expedia and TripAdvisor to boycott Jewish heritage sites such as the Dead Sea, the Old City of Jerusalem, the Kotel and the City of David. "They are doing so despite knowing that Israel's occupation of the West Bank, including East Jerusalem, is governed by international humanitarian law under which Israeli settlements are deemed illegal," said the Amnesty report. "In doing business with settlements, all four companies are contributing to, and profiting from, the maintenance, development and expansion of illegal settlements, which amount to war crimes under international criminal law," it charged, accusing the digital tourism giants of "normalizing settlements”. In recent years, Erdan has tackled organizations and activists that promote the anti-Israel Boycott, Divestment and Sanctions (BDS) movement. In 2018, Israel’s government approved a plan which will set aside $72 million to fighting the campaign to boycott it. The plan, which would entail the largest monetary investment yet by Israel specifically toward combating the BDS campaign, calls for setting up a not-for-profit organization whose board will be made up of government officials and donors from abroad.